Beginning with an insightful study on the nature of man, Chesterton argues that the central character in history is Jesus Christ, the everlasting Man. No other explanation of the world fits the evidence. Exploding the stale formula of Christ as the pale product of human imagination, he triumphantly asserts the glory and unassailable logic of Christ as the God who, in the fullness of time, steps into his own creation. Displaying all of his brilliant synthesis and devastating irony, The Everlasting Man is perhaps Chesterton's best book. C.S. 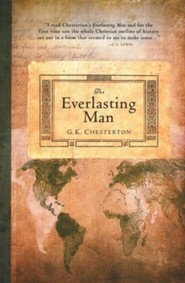 Lewis who cited The Everlasting Man as one of the principle books in his conversion said, "I read Chesterton's Everlasting Man and for the first time saw the whole Christian outline of history set out in a form that seemed to me to make sense." G. K. Chesterton is one of the first popular writers to object to culture's casual dismissal of the divine. 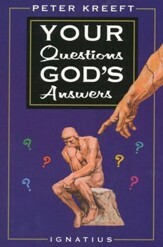 In The Everlasting Man he restores God to our understanding of history. The Everlasting Man is one of G. K. Chesterton's most important books. Frustrated with attempts to relate history without God, such as H. G. Wells' Outline of History, The Everlasting Man is Chesterton's view of history, presented in two parts: "On the Creature Called Man," and "On the Man Called Christ." He argues that the central character in history is Christ, and that no explanation other than the Christian one makes sense. 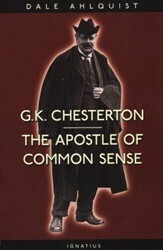 Chesterton was one of the spiritual influences on C. S. Lewis, and this book in particular was a key factor in Lewis' conversion to Christianity. Readers who appreciate the writings of Lewis will want to explore the writings of those who influenced him, including Chesterton. 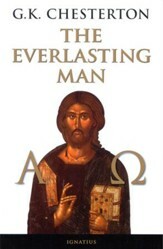 The Everlasting Man is now available from Hendrickson in a re-typeset and redesigned version. G. K. Chesterton (1874-1936) was one of C. S. Lewis' primary mentors in apologetics, and an influence even in his conversion. Novelist, poet, essayist, and journalist, Chesterton was perhaps best known for his Father Brown detective stories. He produced more than 100 volumes in his lifetime, including biographies of St. Francis of Assisi and St. Thomas Aquinas. His Everlasting Man, which set out a Christian outline of history, was one of the factors that wore down Lewis' resistance to Christianity. 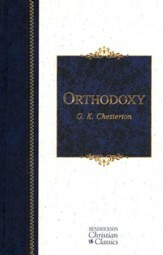 Chesteron was one of the first defenders of orthodoxy to use humor as a weapon. Perhaps more important was his use of reason to defend faith. I'm the author/artist and I want to review The Everlasting Man [Hendrickson Publishers].